Territorial disputes are escalating in East Asia with China stepping up its push for maritime interests despite strong protests from its neighbors and dampening the mood for regional cooperation for stability. China’s demarcation last week of its expanded air defense identification zone overlapped with those of South Korea and Japan. The two countries berated Beijing for having drawn the zone without any consultation. Beijing’s air demarcation comes as Tokyo and Washington have pushed for a stronger alliance amid the deepening Sino-Japanese conflict over a chain of islands in the East China Sea ― called Senkaku in Japan and Diaoyu in China. “Amid the Sino-Japanese dispute over the islands, China apparently felt the need to protect its maritime interests given that Japan, backed by its ally the U.S., has made clear that it would keep China in check,” said Suh Jin-young, professor emeritus at Korea University. For Seoul, Beijing’s unilateral incorporation of Ieodo, a disputed submerged rock in the East China Sea, within its air zone posed a diplomatic challenge. Refusing to recognize China’s demarcation, Seoul seeks to resolve it through dialogue. 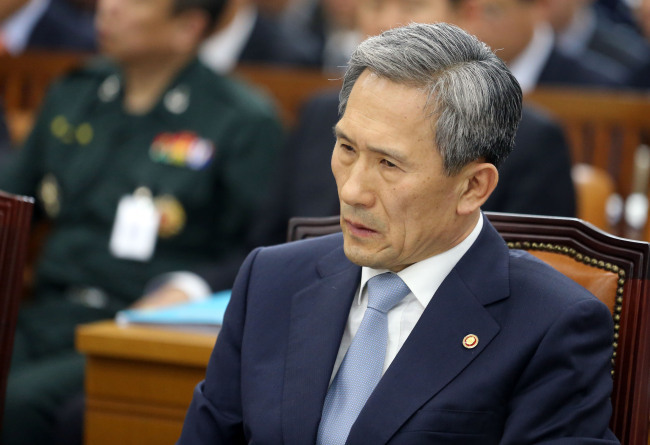 Defense Minister Kim Kwan-jin said during a parliamentary session that the government will internally discuss whether to extend Korea’s air defense zone to Ieodo. Korea’s zone, set up in 1951 during the Korean War, does not cover the rock. As to the Sino-Japan dispute, Beijing has recently been more aggressive to assert its claim to the archipelago, which experts say is expected to be rich in resources and lucrative fishing grounds. Beijing’s more proactive approach regarding the islands came as the U.S. supports Japan’s claim with a warning that any maritime dispute should be resolved peacefully through diplomacy. Chinese officials were said to have taken umbrage when former Secretary of State Hillary Clinton reiterated America’s explicit support for Japan’s territorial claim in January. “Although the U.S. does not take a position on the ultimate sovereignty of the islands, we acknowledge they are under the administration of Japan,” Clinton said during a press conference. The dispute over the Japan-controlled islands entails a considerable implication regarding the Sino-U.S. rivalry, analyst say, given that the islands are a critical strategic point for China to project its power further into the Pacific. 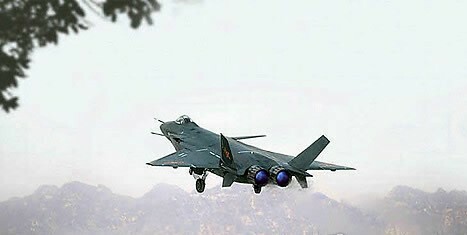 China’s recent aerial demarcation bespoke its intention to expand its sphere of influence, experts say. According to Tokyo Shimbun, the Chinese air demarcation incorporates three areas Japan provides to the U.S. Forces Japan for aerial training purposes. The U.S. military has used the areas without any notification to any other countries, which spawns concerns over a possible military clash between the two powers. China has aggressively strengthened its naval power under a long-term, consistent strategy that covers not only the South and East China Seas, but virtually the entire world by 2050. Based on this ambitious plan, China has encountered a slew of maritime disputes with Vietnam, the Philippines and others in the South China Sea where crucial sea lines of communication converge and vast reserves of resources are buried.